We had an open Sunday afternoon on a sunny, beautiful day. 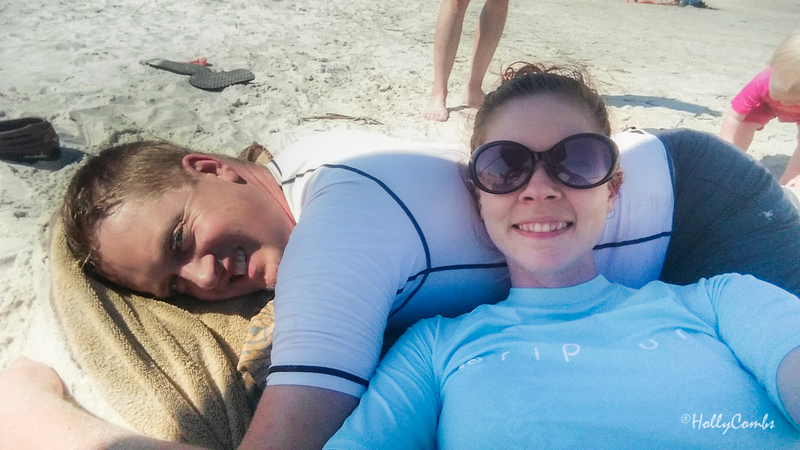 Bathing suits and beach towels were already packed in the car “just in case”, so we decided to head up to the Eastern Shore and visit Cape Charles. We’ve driven through before, and even walked on the beach, always saying that we’d come back when we had kids as this looked to be the perfect kid beach. And we were right! Cape Charles is an idyllic little beach town, full of small, brightly colored beach houses, with an adorable main street of businesses and a beautiful beach. It’s quiet, almost sleepy, and perfect for families with small children. 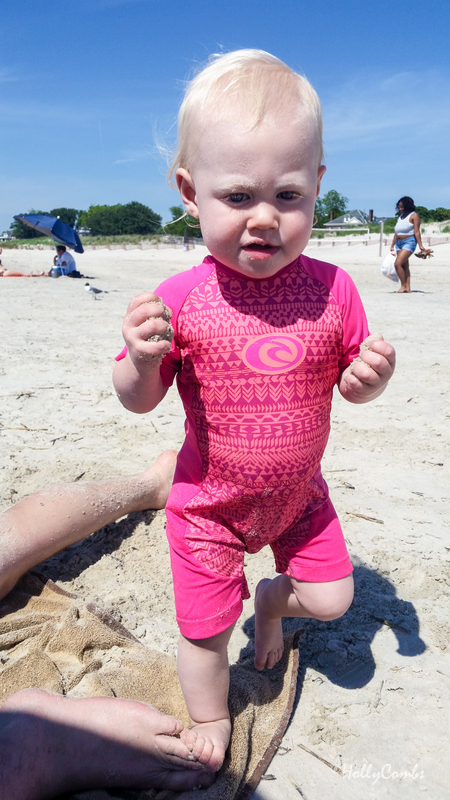 The beach is on the Chesapeake Bay, so it doesn’t have waves the way the oceanfront beaches in Virginia Beach do, which makes it much less scary and easier for a babe who just learned to walk. The beach is also REALLY shallow, like ankle to mid-calf for yards and yards. Fiona could walk by herself for quite a ways, and then with hand-holding for a while longer. It was bathwater warm and she absolutely had a blast. 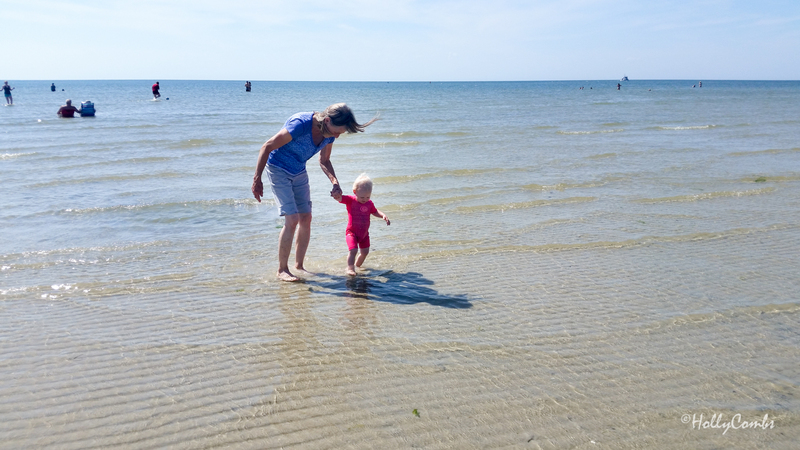 When we’d had enough of the water, we headed back on shore where she played in the sand under Grandma’s watchful eye while Mama and Daddy took a rest in the shade of a beach umbrella. Eventually, Fiona was ready to wander around looking for seashells and other odd bits of things. We were so grateful to have Grandma with us to assist in these things! 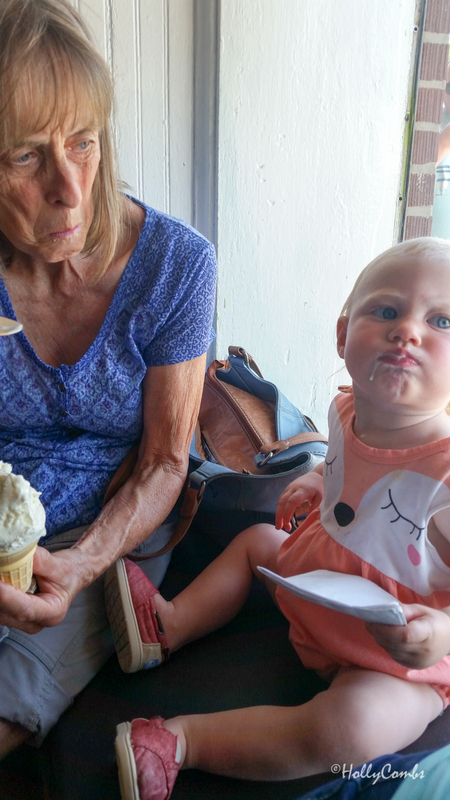 Grandma has a hard time saying no to the baby. We ate a lunch of subs under the shaded cover of a gazebo at the entrance to the beach and eventually ventured into town in search of ice cream. We hit the jackpot with Brown Dog Ice Cream. 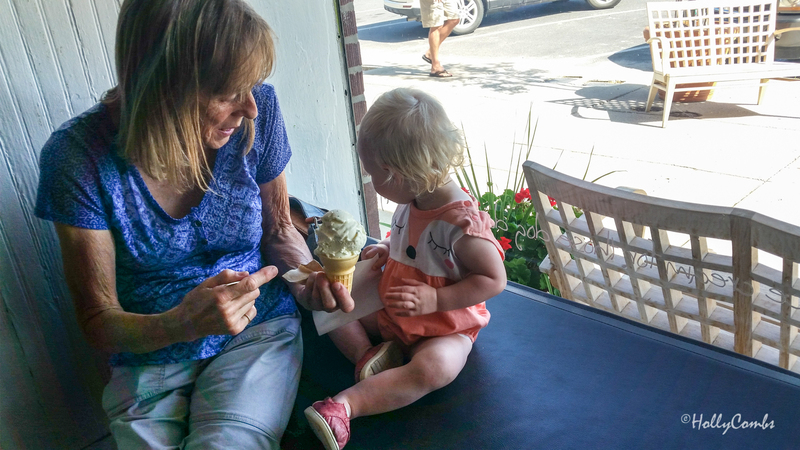 We can attest to the fact that their peanut butter chocolate and mocha varieties of ice cream are delicious, and Fiona and Grandma were fans of the lemon poppy seed! We wandered about town for a bit, visiting a cute local shop called Love Letters where we purchased a cute bucket hat and beach cover-up for the baby, and then into the Lemon Tree Gallery where we enjoyed viewing Bethany Simpson’s folk art. Maybe someday we’ll own a piece ourselves! When it was clear Fiona needed a nap, we headed home. It was the perfect way to spend a sunny Sunday afternoon!